From May 1 – 12, Jam City’s SVP of Game Development Jill Wilson mentored Danielle Sharaf, CEO of Switch-ITC, a multifaceted mobile value added services company based in Pakistan, as part of the Fortune/U.S. State Department Global Woman’s Mentoring Partnership. The Fortune/U.S. State Department Global Women’s Mentoring Partnership is an international exchange program that pairs senior women executives in the United States with emerging leaders from around the world to improve the status of women in business. Jam City is proud to play an important role in engaging, inspiring and empowering a new generation of women leaders around the world. For the past two weeks, Jill has mentored Danielle, providing her with valuable skills, experience, and access to networks needed to grow as a leader in her business, community and country. At the same time, Danielle has shared her experience, industry knowledge, and key insights on the business culture in Pakistan to help Jam City advance in the global economy. 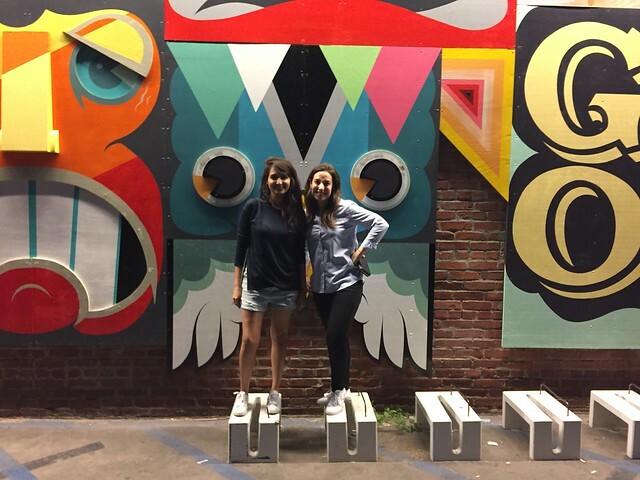 During her visit, Danielle also participated in numerous activities that gave her the opportunity to get to know Jam City employees and experience LA arts and culture. Jam City hosted a meet-and-greet breakfast every morning and a happy hour every evening, in which Danielle got to know a different Jam City member outside the office. Danielle also hosted a lunch and learn, in which she provided background and insightful information about her company. She visited visited the Museum of Ice Cream and had her first food truck experience at Abbot Kinney in Venice. As one of Pakistan’s leading young technology entrepreneurs working on projects that impact the lives of more than 15 million cellphone users in the country, Danielle’s initiatives are bringing health solutions to adolescent girls and linking job-seekers with industry and empowering women across all socioeconomic strata. Before she started Switch-ITC, she has been an integral part of Pakistan’s most successful startups and also led brand campaigns for large companies. A self-starter and a multi-talented professional, Danielle is uniquely placed as the only woman CEO in her industry. A communicative technology enthusiast, she has a keen focus on mobile product development and its potential for social change. An engineer by training and a product development guru by trade, Ms. Sharaf has received international grants and worked with tech gurus to scale and sharpen her business acumen. She was recently nominated for the 2017 Ladiesfund Trailblazer Award. She tweets at @DaniShara.